Although I like to follow a Ketogenic diet, I’m never too enamored with low carb substitutes. It rather reminds me of vegetarians that still eat Quorn shaped like chicken fillets, I don’t get it! Out there are low carb versions of cake, cookies, brownies and even crisps. I think if you want a cookie just have a proper one and be done with it. However, I was digging around Pinterest and I saw a delicious looking recipe for a Low Carb Grilled Cheese Sandwich. I though I just have to give that a go. To make the cheese sandwich I first had to make the bread. 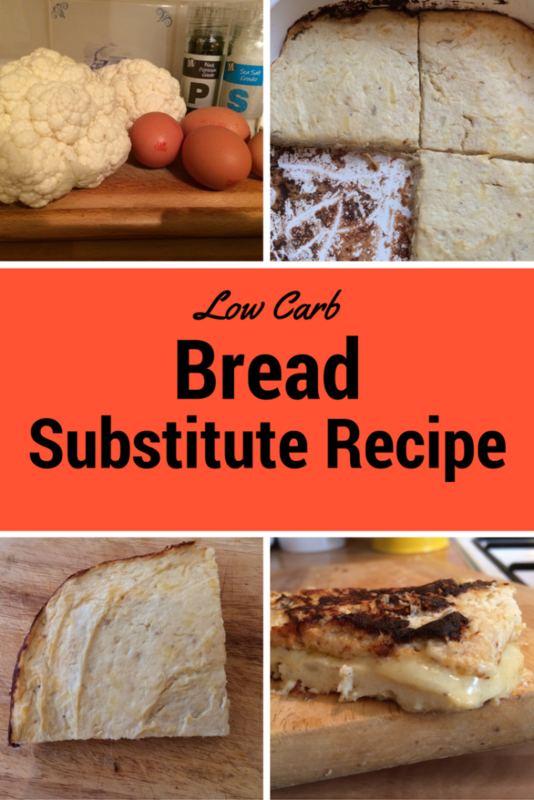 My first thought was to investigate how to make low carb bread, there are plenty of different types and versions out there, but I thought cauliflower bread looked easy to do. Most of the Cauliflower bread recipes I read involved whizzing fresh cauliflower into rice sized pieces and cooking these until they were dry. 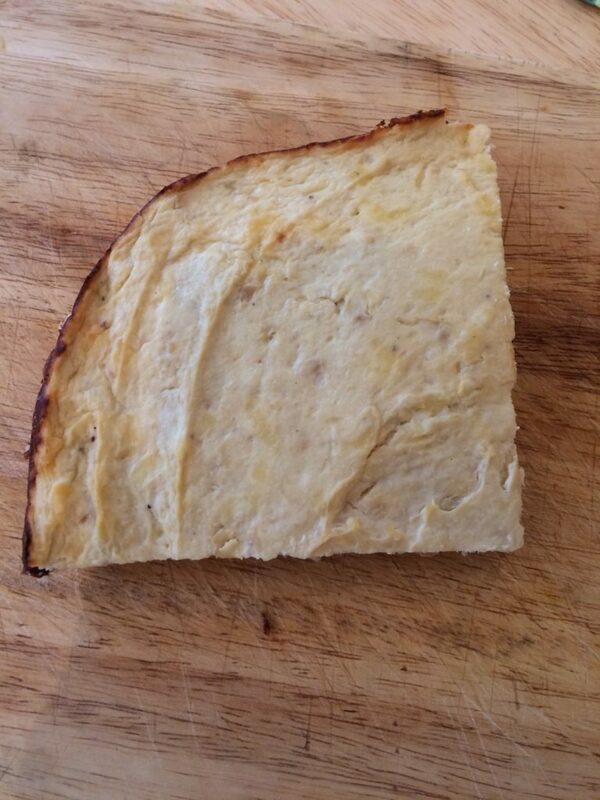 To me, this sounded a bit messy and thought I would try my own version of cauliflower bread make from cauliflower puree. I was really pleased with the results. The recipe follows. Chop up the cauliflower into small pieces and place in a microwave-proof bowl, add a little water and cover with clingfilm. Microwave for about 15 minutes or until the cauliflower is very tender. 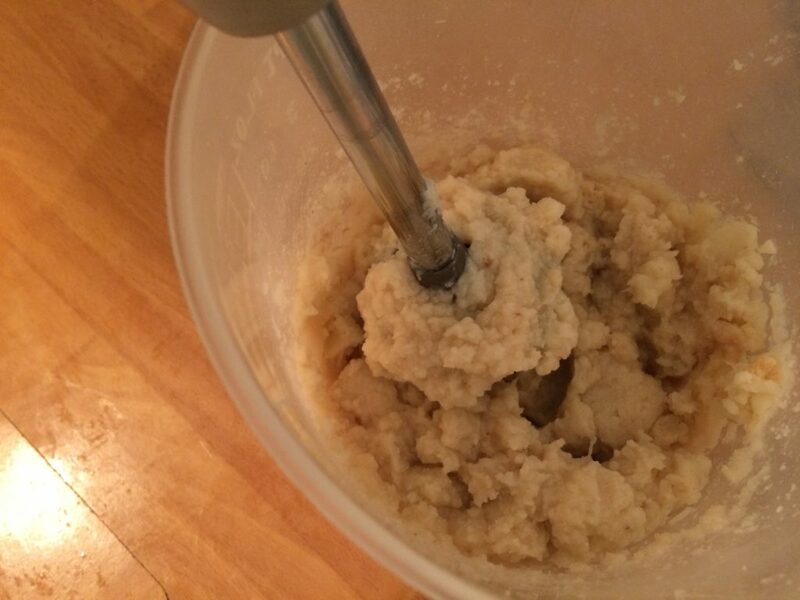 Place the cooked cauliflower in a jug and puree with a hand blender. Add 4 eggs and the cheese season with salt and pepper. Grease an oven proof dish with butter and add the cauliflower puree mixture smoothing out the top. The mixture was about 1cm thick. 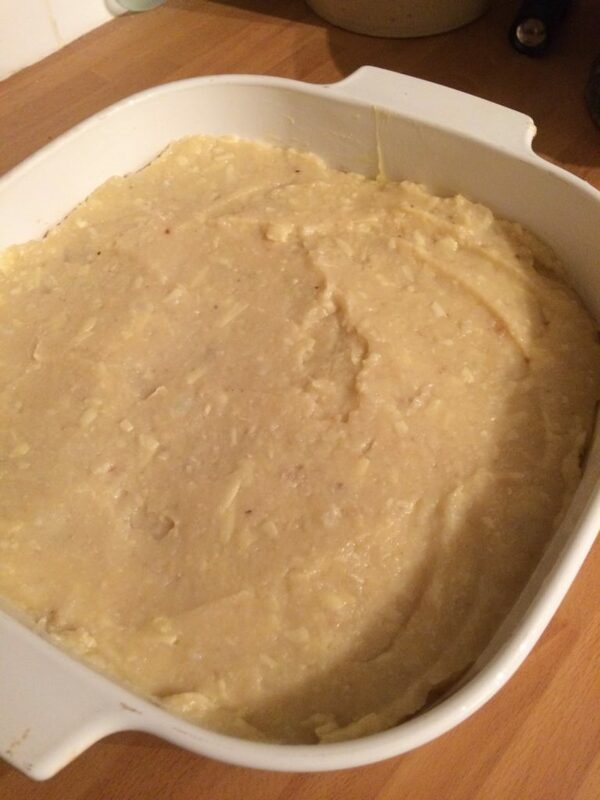 Put the cauliflower bread mixture into the oven at gas mark 5 for 40 minutes or until brown and golden. The centre should be springy and cooked through. As a first try and an experiment, I thought this recipe came out really well. 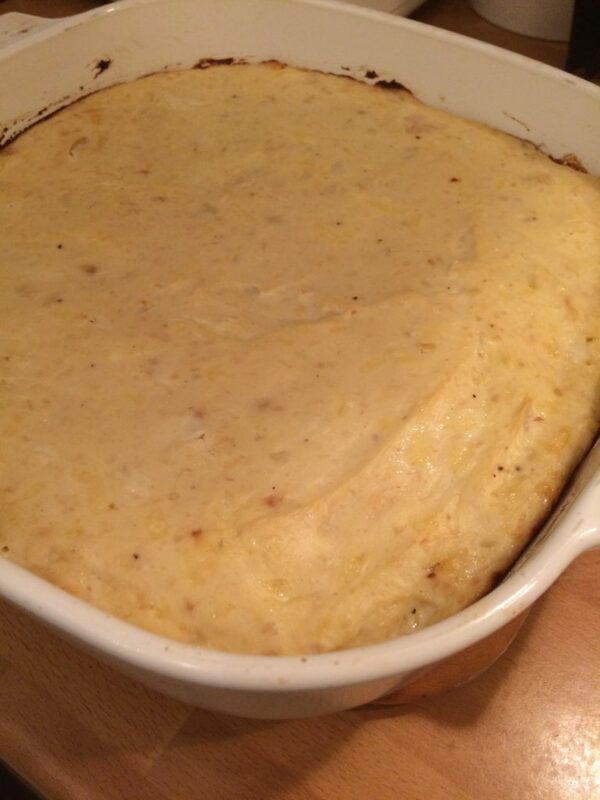 This can be eaten as it is, or used in other Low carb recipes. 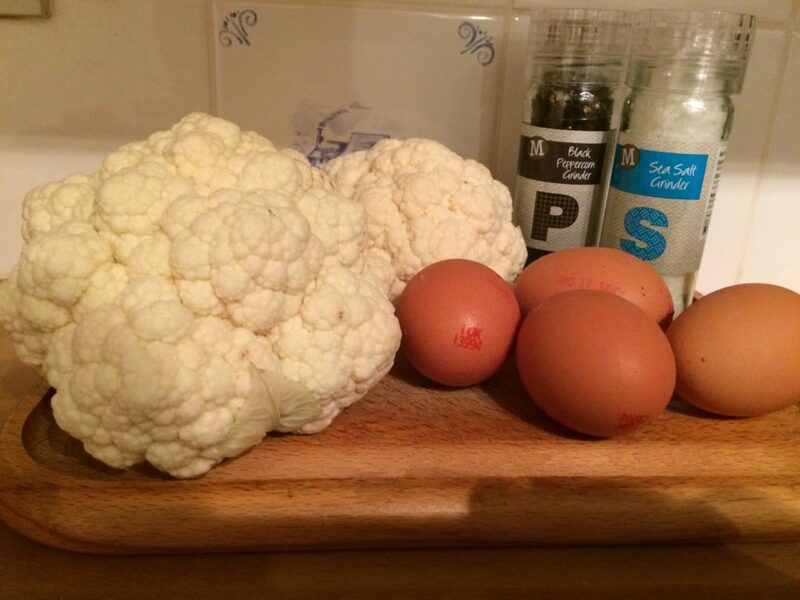 The taste and texture is pleasant and the cauliflower does not overwhelm. I worried that this recipe would come out too soggy and that the bread would crumble when handled. This wasn’t the case, although still delicate it came out of the dish easily. When I make this recipe again I will buy a packet of frozen cauliflower. This is the kind of recipe where you just wouldn’t notice any difference between fresh and frozen. I can have cauliflower in the freezer at hand for any time I fancy making this. I am going to experiment with different recipes using this bread as a base. My thoughts were low carb versions of Grilled Cheese Sandwiches, Pizza base and Fried Bread. Fried bread served with bacon and eggs would be rather delicious I feel.